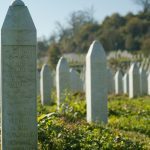 A group of high-profile figures from Scottish public life visited Srebrenica to learn how lessons from the worst atrocity on European soil since World War Two can be used in Scotland to help create better, safer and stronger communities. 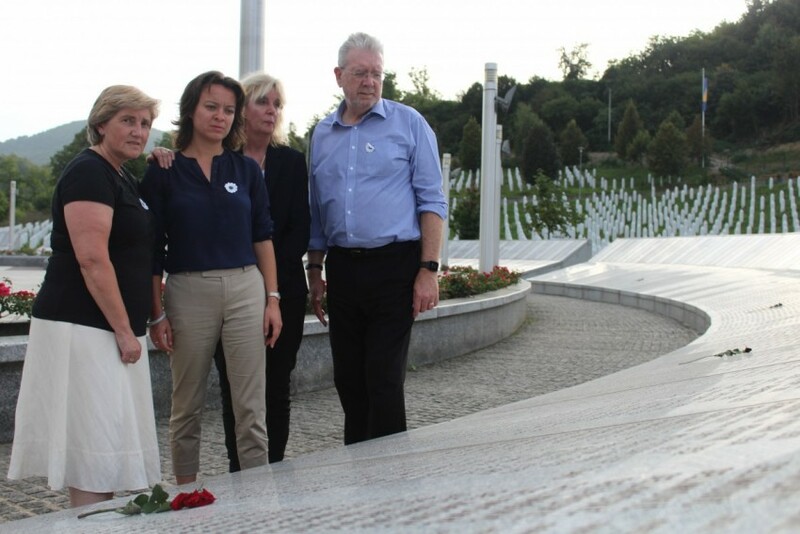 The nine-strong group travelled to Bosnia with Remembering Srebrenica, led by The Very Rev. Dr. Lorna Hood, former Moderator of the Church of Scotland and chair of the charity’s Scotland board. It included Solicitor General for Scotland Lesley Thomson; Labour spokesperson on health and equalities Jenny Marra MSP; and former Cabinet Secretary for Education Michael Russell MSP. Part of the ‘Lessons from Srebrenica’ educational visits programme, the delegation met with survivors and relatives of the victims, as well as the British Ambassador Edward Ferguson and officials from the International Commission on Missing Persons (ICMP). Group members learned about the events in July 1995 – which resulted in the systematic murder of more than 8,000 Bosnian Muslim men and boys. This is a group of people who are influential in Scottish public life and who are deeply affected by the experience we are sharing in Bosnia. Already, our delegates are thinking about how they can use what they have seen and heard within their own spheres of influence to help shape a better society in Scotland. As well as learning about the current situation for survivors and families whose loved ones were killed, the group looked at the lessons for Scottish society which can be taken from the genocide. Remembering Srebrenica’s Scotland Board was established in March this year. The charitable initiative raises awareness of this genocide in the UK. It works with individuals and organisations to help strengthen British society by learning the lessons of history to help tackle hatred, racism and intolerance wherever it occurs.